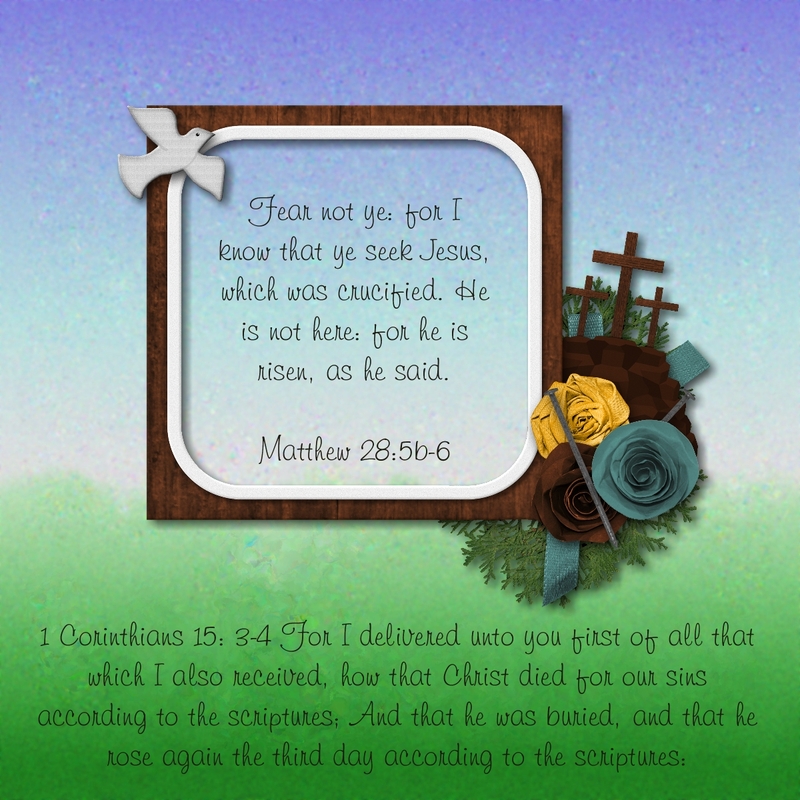 Why seek ye the living among the dead? He is risen! Have you been to Jesus for the cleansing power? Oh be washed in the blood of the Lamb? This entry was posted in Uncategorized on April 14, 2014 by Yobeth. I am loving all the colorful kits coming out with the yellows, reds, oranges & blues, they just make me happy! Fall and winter colors tend to be a bit depressing to me. Then you’ve got the Valentines Day and St. Patrick’s Day drivel. Sorry if I stepped on any toes but it would be nice if everyone didn’t jump on that band wagon. But now it’s April, yay April! Although there are, unfortunately, a lot of pastels for Easter there are also some gorgeous kits with yellows, reds, oranges & blues. These colors make me very happy! Kit used Happy Mess from Scrapyrus Designs. This entry was posted in Family, Just Sayin', Trends on April 7, 2014 by Yobeth. One of the most common complaints I hear about MyMemories Suite is that you can’t use outside templates. That is, templates that are not included as a part of the software. While it’s true you can’t use them in the traditional way like you would in PaintShop Pro, PhotoShop, PhotoShop Elements or other photo editing software there is a work-around. You can use them as a sketch. What that means is you bring the template jpg in as an embellishment then use it as a map for placement of the elements. 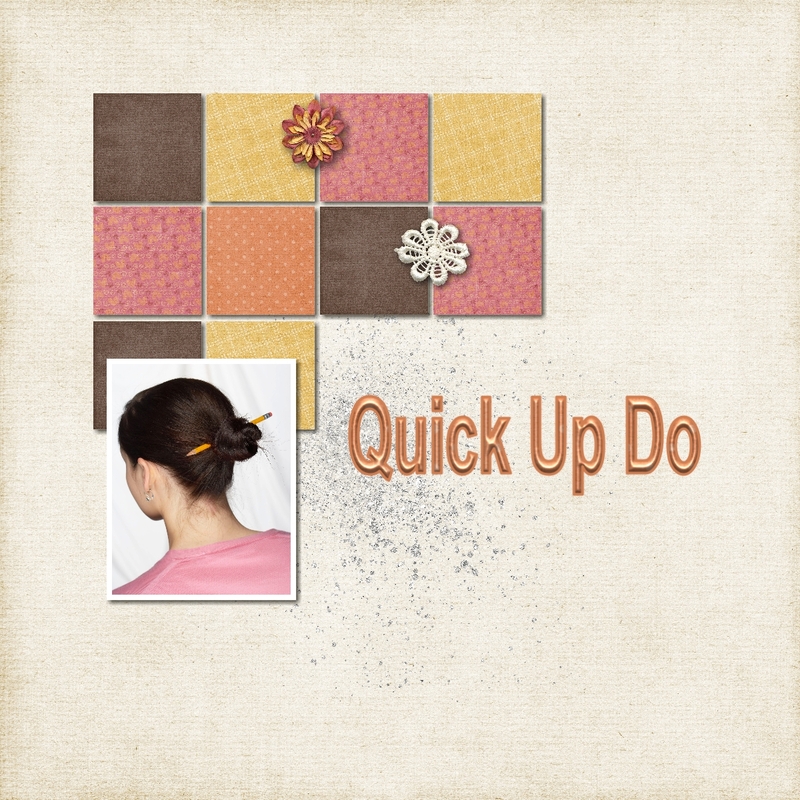 As with any template, you can make changes in embellishments or layout as you like. However, you’re probably using the template because you like the way it looks so I’d be careful about making too many changes. I’ve made a tutorial to show you how to use a template as a sketch. You can find it here. I hope you find it helpful and I encourage any comments and feedback. Here’s the layout I made using the template. 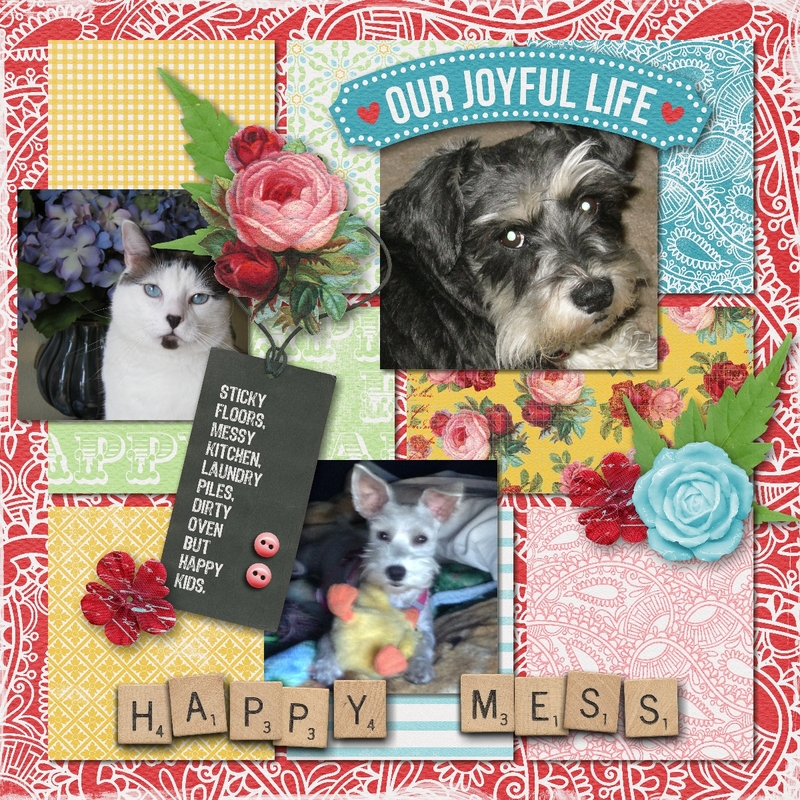 You can get the template free on Digi Scrapping Freebies Facebook page here. We encourage you to get the freebie and participate in the challenge at Digi Scrapping Divas here. Please post your layout in the album for this challenge for all to see. This entry was posted in Challenges, Digi Scrapping Freebies Group, DigiScrappingDivas, Facebook Group, Freebie, My Memories Suite, MyMemories, Tutorial on April 4, 2014 by Yobeth. 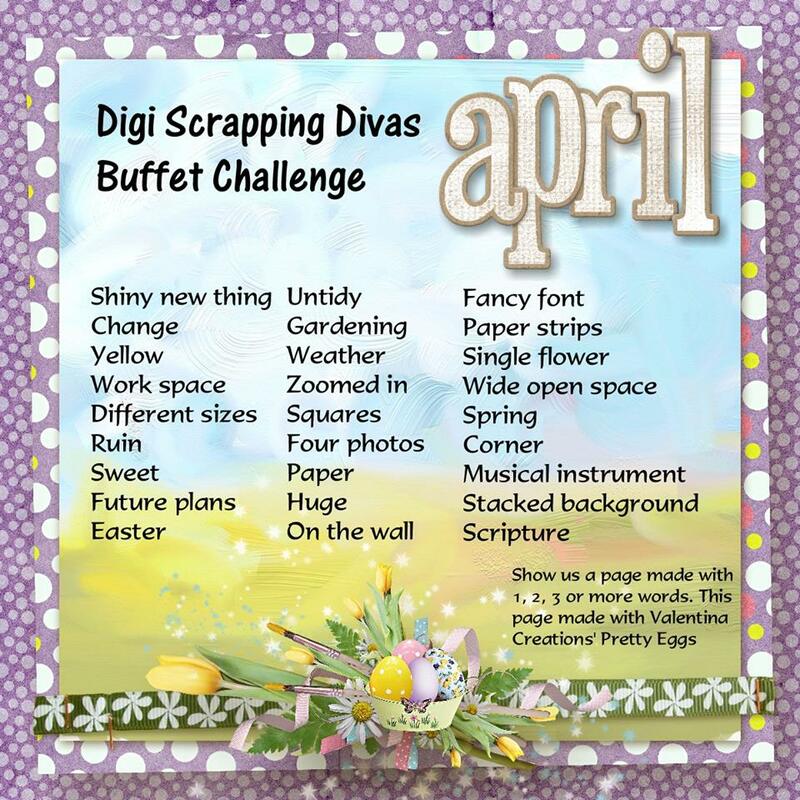 Our April photo challenge on Digi Scrapping Divas is ready to go. We have about 30 prompts to get you going. The “buffet” challenge is fun and stress-free. Simply create a layout using one or more of the words then post it to the album for all the members to see. Pressed for time? No problem! You can even post a layout you’ve already done. To make it even more fun, see how many of the prompts can apply to your layout. Get some layouts done and most of all have fun! Join us at Digi Scrapping Divas here. Here’s a preview of the list. This entry was posted in Challenges, DigiScrappingDivas, Facebook Group on April 2, 2014 by Yobeth.